The ovoid body is carved beneath the tapering spout with a narrow chevron band terminating in a foliate applique. A similar applique is at the base of the curved handle which has a band of beads in the center and is applied at the top with a human head looking over the shaped mouth rim. 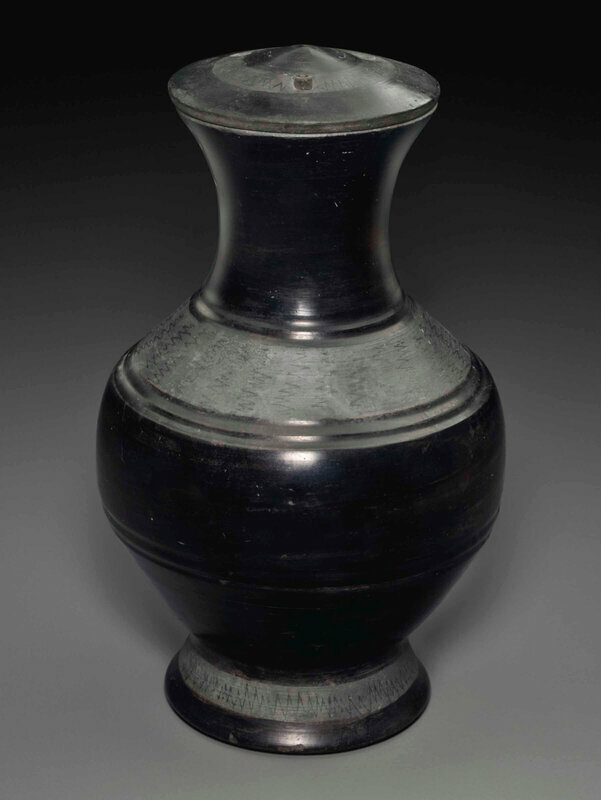 The ewer is covered overall with a clear glaze of faint olive tone that falls short of the spreading pedestal foot exposing the white under-slip which ends at the top of the otherwise unglazed, spreading pedestal foot.. Note: The shape and decoration of this vessel are closely related to imported metalwork and leather bottles from the Silk Road, while the leaf decoration at the base of the ornamental seam and handle is Hellenistic in origin, as is possibly the head. Similar examples of this rare form include two illustrated in Homage to Heaven, Homage to Earth - Chinese Treasures of the Royal Ontario Museum, Toronto, 1992, p. 58, pl. 25; and the one illustrated in Mayuyama, Seventy Years, vol. I, Tokyo, 1976, p. 81, no. 212. 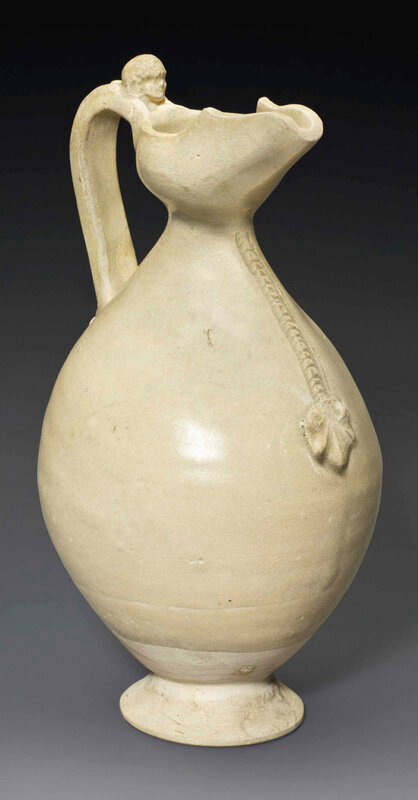 See, also, the similar ewer of larger size (11¼ in.) 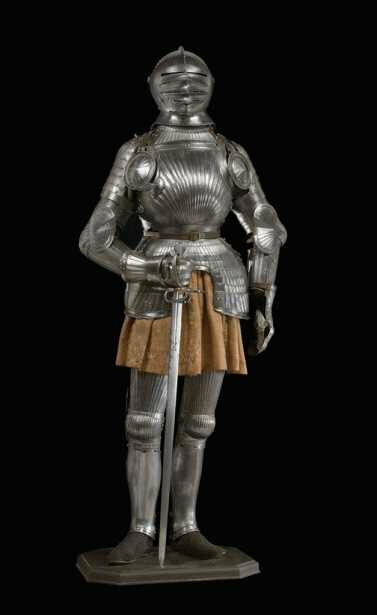 sold at Christie's New York, 19 September 2006, lot 200.